Kieran has been living in Liverpool for the last few months, but a couple of weeks ago he decided to move back to Hull. Now he's spending his time between Liverpool and Hull. 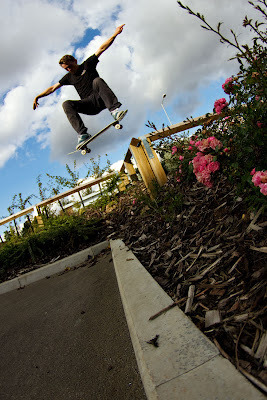 Anyway here he is doing a fs 180 over a fence and drop, from last weekend.